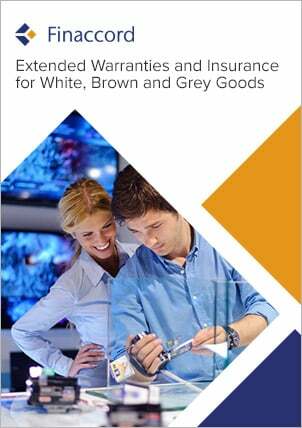 Warranty Metrics: Consumer Approaches to Extended Warranties for White, Brown and Grey Goods in China offers unique, detailed insights into the behaviour of Chinese consumers regarding extended warranties for white, brown and grey goods. Based on a primary survey of close to 2,000 consumers in China carried out in the second and third quarters of 2017, the research provides valuable data concerning the extent to which they take out extended warranties with desktop computers (plus printers / scanners), dishwashers, fridges / freezers, games consoles, hi-fi / audio systems and digital radios, set-top boxes and Blu-ray / DVD players, TVs and washing machines, with data shown separately for each of these eight types of product as well as for each of the three broader categories of white, brown and grey goods. Extended warranty take-up rates for these categories are also analysed by gender, age and annual household income of respondent as well as by the price band of the underlying product and the interface used to acquire it, differentiating between in-store and remote (mainly online) purchases. They are additionally shown for major retail chains covered by the research, which in China were 51buy.com, Amazon, Black Swan Electronics, Dangdang, Dashang, GOME Electrical Appliances, JD.com, Jintaiyang Electronics, New Mart, Suning, Tmall and Yihaodian, as well as for respondents buying through other national chains, other online-only retailers and local (independent) shops. The investigation also analyses which risks are covered by these warranties (i.e. breakdown only or also cover for accidental damage and / or theft), whether consumers purchased a warranty for a specific consumer product or a multi-appliance warranty, which distribution channel and interface they used to take out the extended warranty (including the split between retailers, manufacturers and other independent providers), whether they bought an extended warranty at the same time as the underlying consumer product or at a later point, and whether they acquire an extended warranty as a result of any particular prompt (e.g. a face-to-face or phone conversation with a sales representative or web chat). Finally, the report analyses claims frequency for extended warranties split between white, brown and grey goods, as well as between stand-alone and generic cover packaged with banking products, also showing whether the claim was accepted or rejected. benchmark your organisation’s performance in the extended warranty sector: are your cross-selling rates in line with the market averages described in this study? evaluate the opportunities for distributing extended warranties through means other than the outlets selling the underlying electronic products: to what extent will consumers buy through alternative channels and interfaces? assess the prospects for retrospective marketing and re-solicitation programs: how many Chinese consumers take out extended warranties after they have bought the underlying electronic product and how long do they wait? understand claims experience for extended warranties, how this varies by type of customer and what this might mean for the way in which your organisation underwrites or distributes this type of policy.